IN OUR CONSTITUENT ASSEMBLY this twenty-sixth day of November, 1949, do HEREBY ADOPT , ENACT AND GIVE TO OURSELVES THIS CONSTITUTION. 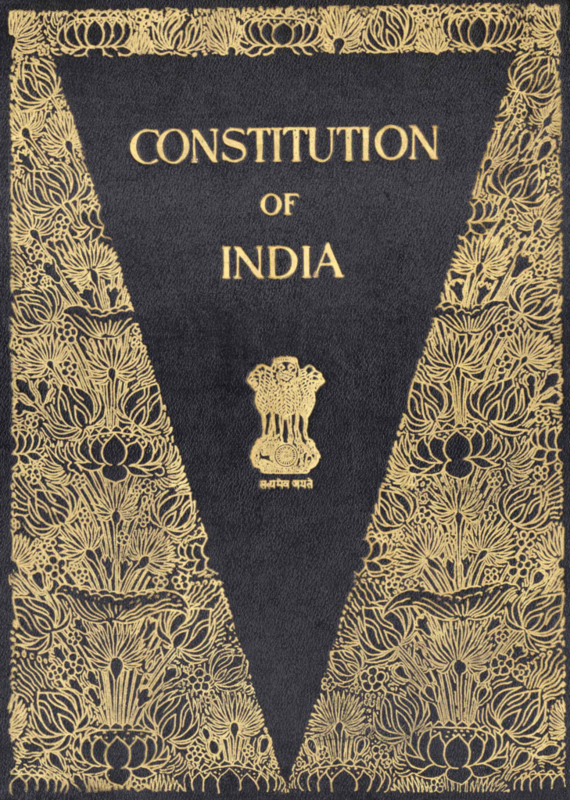 The Preamble represents, for our group of former civil servants, the core of the idea that is India. A nation of diverse religions, ethnicities, languages and cultures came into being in 1947 as a democracy. The country has shown the resilience to weather the storms of inequality, poverty, internal disturbance, external aggression and natural disasters over her seventy year existence, a strength derived from her people and their determination to abide by the principles underlying the Constitution. We firmly adhere to the ideal of non-violence in conduct, both word and deed. However, developments in our polity and society over the past few decades, and especially the recent past, have given us cause to wonder if the principles enshrined in the Constitution have really taken firm roots in our country’s ethos and worldview. While strong institutions are crucial to the functioning of a healthy democracy, equally critical is the internalisation of the values of justice, liberty, equality and fraternity, which underpin the Constitution. The saying यथा राजा तथा प्रजा clarifies that it is the rulers who have to set the example for the people they govern. What we have observed with increasing disquiet in recent times has been the tendency for those in power to follow the path of expediency rather than moral values in governance practices. Not surprisingly, this has led to situations where the public sees the rule of law as a hindrance, more so in a country where the practice of following established, universally followed legal norms is still developing roots. What has caused our group concern is that such departures from the rule of law are increasing in number and scope and that institutions charged with regulation of public conduct, including the state, have not taken proactive steps to firmly embed the rule of law as the sole guiding principle for all actions and activities. Our group is non-partisan in nature and motivated only by the desire to promote the democratic principles enshrined in the Constitution. In order to maintain this non-partisan and Constitution-focussed character, it is important not to be aligned with political parties. Hence, whatever our individual political preferences might be, no member of the group shall be a formal member of a political party or participate in electoral politics. As persons who were formerly at the apex levels of government and governance, we are only too aware of the lure of power and the temptation to deviate from moral principles to attain narrow goals, whether personal or organisational. Our motto “SPEAKING TRUTH TO POWER” represents our effort to present the situation as it actually exists at the ground level, bring this to the notice of the community and the institutions charged with the preservation of democracy in India and use the weapon of moral suasion to induce and persuade the governments of the day to faithfully abide by their oaths to the Constitution of India.